1. LIVESTRONG.COM: What was you life like before joining LIVESTRONG.COM? 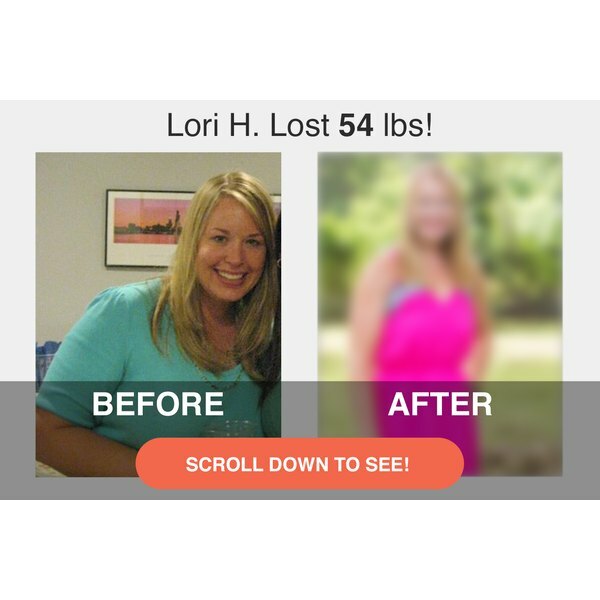 Lori: I never struggled with being overweight until I started law school. I was working full time, attending school full time and barely had time to sleep at night, let alone work out or eat right. I made poor eating choices. I was eating out all the time with my husband and never doing any exercise. 2. LIVESTRONG.COM: What was your inspiration to make a change? Lori: After I finished law school, I realized I no longer had a reason to eat poorly and not exercise. I wanted to get back to my old self. 3. LIVESTRONG.COM: How did LIVESTRONG.COM help you lose weight? Lori: LIVESTRONG.COM showed me how horrible my eating habits were. After I started tracking my calories in MyPlate, I realized how many empty calories I was consuming every day because I didn't know what was in my food. I was floored with how many calories are in things I thought were good for me. I started counting calories consistently and working out and the pounds fell off quickly. I began running too, and that was a huge factor in changing my body as well. 4. LIVESTRONG.COM: Who was/is your support system? Lori: A lot of people. My husband was my biggest support. He gained about 40 pounds as well while I was in law school, but he lost it by eating healthier and working out again. But everyone around me -- constantly complimenting me, asking for my secrets to losing weight, etc. -- helped too. 5. LIVESTRONG.COM: What's your favorite way to work out? Lori: My absolute favorite workout is kickboxing classes. I also love running 5K and 10K races. However, since I recently moved to Costa Rica, these things are not available where I live -- or at least I have not discovered them yet. So I've been hiking and running, and I joined the local gym where I lift weights and use the elliptical bike and treadmill. 6. LIVESTRONG.COM: What's your weekly exercise schedule? Lori: I do some sort of workout almost every single day. My husband and I take long walks or runs in the mornings, and we work out at the gym about an hour each day. 7. LIVESTRONG.COM: What's a typical day of meals and snacks? Lori: I generally eat two meals -- breakfast and dinner -- and I snack in between. For breakfast, I typically have scrambled eggs with veggies and toast or a fruit smoothie. For dinner, it varies. I make a lot of grilled fish because I can get it fresh at the market in town. We also eat a lot of rice, black beans and different kinds of vegetables. I almost never eat anything fried, and I don't eat any sort of meat other than fish. For snacks, I love bananas, guacamole with carrot sticks and a healthy cookie dough I make using chickpeas. I also bake a lot and make different healthy muffins and breads with all the local veggies that are so cheap here. I eat out about twice a week: Wednesdays for half-price sushi in town and Saturdays for date night. 8. LIVESTRONG.COM: What's the range of calories you eat per day? Lori: Between 1,200 and 2,000 per day, depending on my mood, how hungry I am and the exercise I do. 9. LIVESTRONG.COM: What are the healthy staples that are always in your kitchen? Lori: Since moving to Costa Rica, my kitchen is totally different than in the States. The kitchen is typically stocked with a lot of fresh veggies and fruits, including avocados, potatoes, onions, zucchini, tomatoes, radishes, kiwi, pineapple, strawberries and grapes. I also keep huge containers of water, Coke Zero (my one vice), orange juice and milk on hand. We usually have some sort of cheese, rice, black beans and eggs because we use these in a lot of our meals. My cupboards contain different types of dried beans, flour, sugar, baking powder, chocolate chips and a lot of spices for cooking. We also add chia seeds to a lot of foods, so I have a supply of that as well. 10. LIVESTRONG.COM: How do you strategize for meals? Lori: I have more time on my hands in Costa Rica since I'm not working, so I don't do much planning for meals. I only buy what I need at the time, so we make a lot of trips to the grocery store when going to and from town. I use Pinterest quite a bit to look up new recipes and have discovered some awesome meals, such as falafel burgers and baked zucchini. We moved to Costa Rica for a few reasons: the weather (I'm originally from Michigan), the lower cost of living and the beautiful surroundings of nature and animals. We were also on Flight 253 in 2009 when the underwear bomber tried to blow up our plane. Ever since that incident, we really felt the desire to enjoy our lives and take nothing for granted. We didn't want to work until we were dead, and we want to enjoy the precious little time we have here on Earth. 11. LIVESTRONG.COM: What's the biggest challenge you faced? Lori: Not eating out as much. I like a nice night out and had to avoid it, at least at first, in order to stay on track with counting calories. Now I eat out once or twice a week with my husband and order whatever I want. 12. LIVESTRONG.COM: What's your biggest secret to success that you want to share with others? Lori: You have to be strict with counting calories. Mix up your workouts and -- most of all -- have fun! 13. LIVESTRONG.COM: What's you life like now? Lori: I still work out a lot -- usually with a morning run and weights and cardio at the gym. I'm retired, so I don't have to be on a strict schedule like I was before. Also, eating healthy became so much easier once I moved to Costa Rica because fruits and vegetables are readily available. I don't really count calories too much now since I have a better understanding of what's in food, but I try to limit portions and eat as healthy and sensibly as possible. Do you have an inspiring Success Story to share? Did you use LIVESTRONG.COM to lose the weight? Email us at Livestrong.comSuccessStory@livestrong.com and you could be featured in our newsletter. Written by: Kelly Plowe, MS, RD, CSSD is a nutritionist and food and health communications specialist. As a registered dietitian and certified Sports Dietitian, Kelly helps consumers put health and nutrition research into practice. She believes diet is at the center of a healthy and fulfilling life and is dedicated to helping others be their best. Kelly lives in Los Angeles with her husband and their bulldog, Sunny. She is an avid runner, weight lifter and CrossFit enthusiast. Living in SoCal, Kelly spends most of her free time cooking, eating out with friends and going to music concerts. Follow Kelly on Twitter and on Instagram. How Lara S. Lost 30 Pounds and Three Sizes!